We sell willow cuttings for propagation. 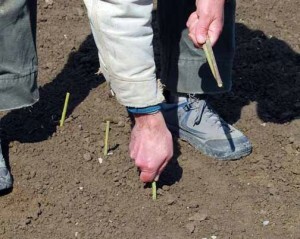 These hardwood cuttings are an easy and reliable way to grow new willow plantings. The willow varieties in the table have grown well at Dunbar Gardens in northwest Washington. Most of them are very useful for basket making; some are good for hedges, living fences, sculptural work, or garden ornamentals. There will be variation in the color of both the fresh and dried rods. Order instructions and prices are further down the page. There are also planting and growing tips further down the page which are included with orders. 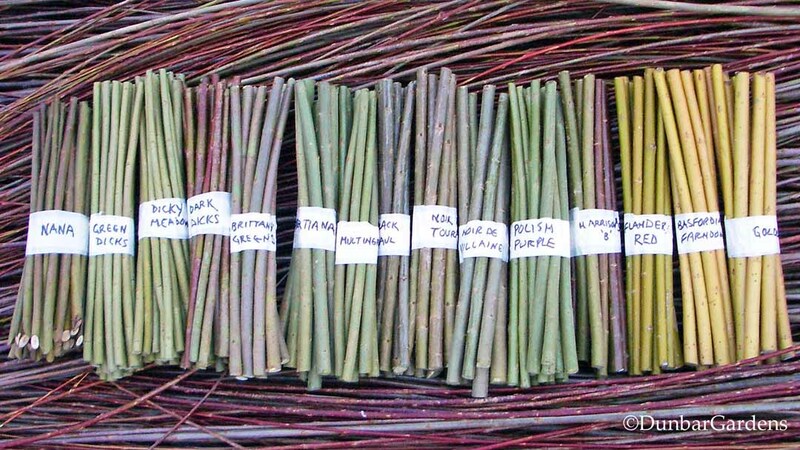 Willow cuttings list of varieties: Here is a list and short descriptions of the willows we offer. You will also find several collections of varieties that we offer as packages further down the page. Productive, great for baskets. Beautiful hedge. Longer, larger with nice color. Holds leaves longer into fall. Long, nice for weavers, but soft not as good for borders. Despite the name, dark rods. Early catkins. Dried rods a vibrant green. Good for weaving, long rods for living willow work. Some branching; dries dark brown. Good weaver. Large stocky rods, living willow structures. Previously mis-identified as S. americana. Very thin rods, a little branchy, holds leaves late. Variety from Ireland available in 2021. Dries light brown, nice aroma. Not available in 2019. Stocky, but beautiful color and nice for weaving. Large, stocky rods for living willow projects. Dries dark brown. Large rods for living willow, hurdles. Dries light brown. Early abundant pink catkins. Living willow work. Stocky rods, living willow structures. Branchy, beautiful color but difficult for basket borders. Lovely scent when dry. Great winter color. Good for side weavers. Fairly slender rods, winter color. Silvery white catkins. Can bloom from December through March. Nice ornamental. Dark stout rods. Early large catkins make nice floral cuttings. Black when fresh, soaks up dark red. Slender but branchy, holds leaves very late, small early catkins clustered on branch ends. Dark red covered in powdery white in winter. Southwest native, winter ornamental, not vigorous. White Welsh willow. Not available in 2019. Very fine rods, small cuttings make propagation difficult. Update April 11: I am working my way through all the orders. I also currently have a long waiting list. I will start taking orders again in December for spring 2020 delivery. Plan ahead! Thanks. 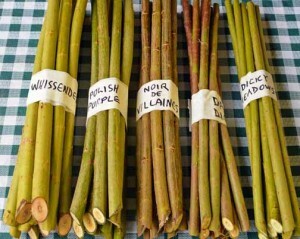 The best way to propagate willow is from dormant hardwood cuttings; so we have to limit the sales to the winter months. We start taking orders in December and cuttings are shipped from early February through early May to accommodate your planting date. We are happy to answer your questions about willow cuttings year round. To order send an e-mail to steve@dunbargardens.com with the name of the varieties and the quantity of each you would like to order. Please include your shipping address with postal zip code. I will send you an email invoice by way of PayPal. (You do not need a PayPal account.) You can use the link to pay securely online with a credit card or you can mail me a check made out to Dunbar Gardens. USA only and no telephone orders please. 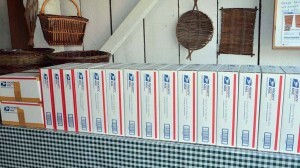 Orders will be shipped Priority Mail. You can also pick orders up at the farm after arranging the time. Please give me an idea of when you would like to receive the cuttings for planting. Approximate shipping dates for 2019 will be January 29; February 5, 12, 19, 26; March 5, 12, 19, 26; April 2, 9, 16, 23, 30; May 7. You are welcome to change the date later since the weather is tough to predict. Our production of willows for Katherine’s basketmaking and classes allows us to select good sized cuttings to insure successful rooting in your garden. Our cuttings are 10-11 inches in length. 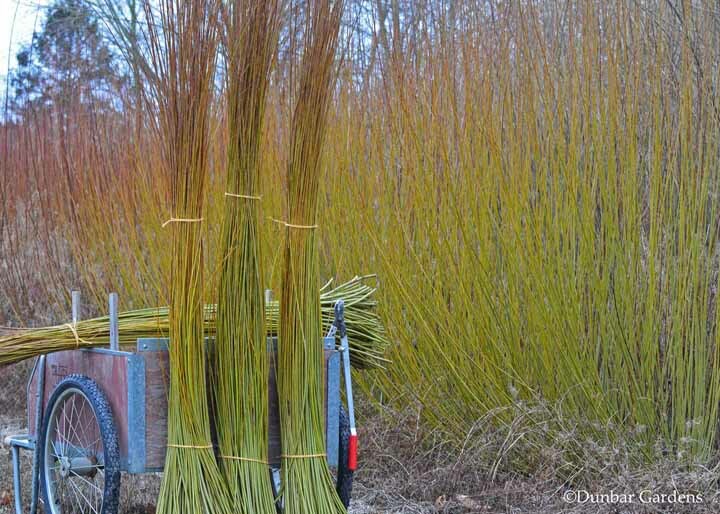 Full size rods for living willow fences and structures 7-10 feet in length are available only at the farm for pick-up. Living willow structures and garden trellis package: 5 each of Eugene, Harrisons, Harrison’s B, Irette, Jagiellonka, Raesfeld, Rubykins and Continental Purple. 40 cuttings for $60 Tip: If you only want to grow willows for one structure or fence, I suggest that you buy one or two varieties rather than this package. Please note that I may have to substitute varieties in the packages depending on availability when they are shipped. Shipping and handling costs are $16 per order except Washington State residents who pay $10 plus sales tax based on destination. Orders over 500 cuttings will have additional shipping charges. Planting instructions will be included with the order. Have questions about cuttings or willow growing? Please read the info below about planting, growing and coppicing willows. More questions? Please e-mail steve@dunbargardens.com. We sell full size rods for living willow structures and fences for $3 to $5 each depending on size on the farm. Please email for more info. We do not sell dried willow rods for basketmaking or weaving. You can grow basket willows in a wide range of soil types, but they prefer well drained soils in full sun. The willows will grow in almost all areas of the US and are very hardy. Willows in general have a tendency to be variable to climate and growing conditions. Your willow bed should ideally be free of any perennial weeds. Get your willow growing area ready the year before you plant. The soil is often too wet in the early spring when you will want to plant the cuttings. Some people choose to plant through a weed barrier fabric. Make sure you cut larger enough holes in the poly to avoid girdling of the stem as the plant grows in subsequent years. Spring is the best time to plant willow cuttings. February through May. You can leave the willow cuttings in your fridge until you are ready to plant them. 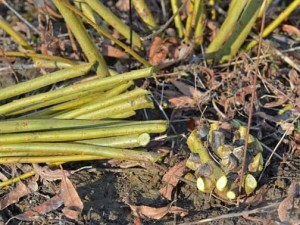 Plant when the ground has thawed and danger of hard frost has passed. If you garden, a good time to plant coincides with early crops like peas or when daffodils are blooming. Later is fine if it allows you to prepare the area and control weeds. Willow cuttings root easily. Plant by simply pushing the cuttings into the ground with the buds facing up. If the soil is rocky or compacted, make a hole with a dibber for each cutting. Try to plant the cuttings 6 to 8 inches into the ground. Leave 2 or 3 buds above the soil surface. Firm the soil around the planted cuttings. Maintain and check for adequate soil moisture during the first summer. Minimize competition for water and sunlight from weeds or other plants. Mulching the plants can be helpful. 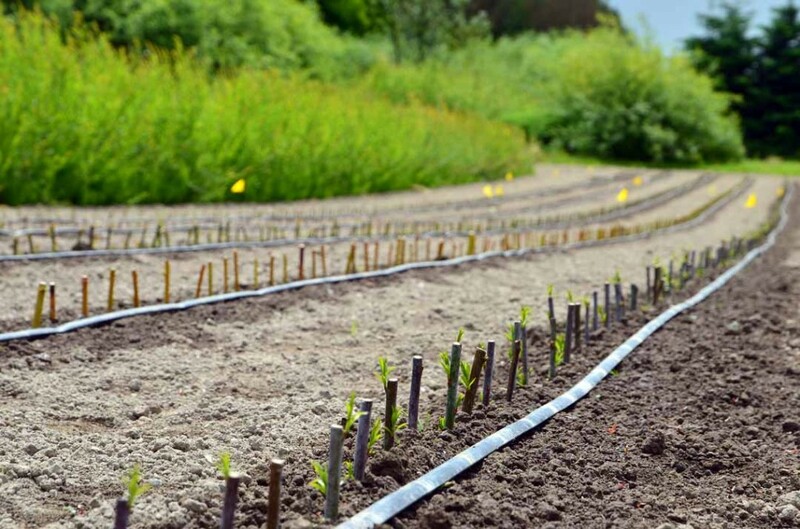 Spacing of the willow cuttings depends on several factors including how the willow will be harvested, how weeds will be controlled, variety, and soil fertility. We are using a spacing of 6 inches in the row by 32 inches between rows for most of our basket varieties. We have also used 12 inches by 24 – 36 inches. Wider spacing is appropriate for producing large rods for garden structures, trellises, or living fences; or when growing in poor soils. Hedges can be planted in a single row spaced from 12 to 24 inches; or a double row planted 24 inches apart with the plants offset. Basket willows are usually coppiced to the ground annually, including the first year. Only an inch of the original stem needs to be left above the soil the second spring. Find more info and photos about coppicing here on our blog. This approach will give you more straight and uniform rods. 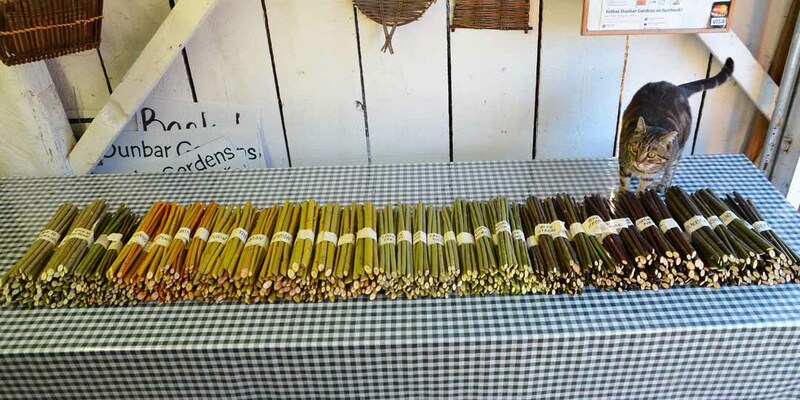 We do leave some rods to grow for two or three years for sticks, stakes, and for peeling. 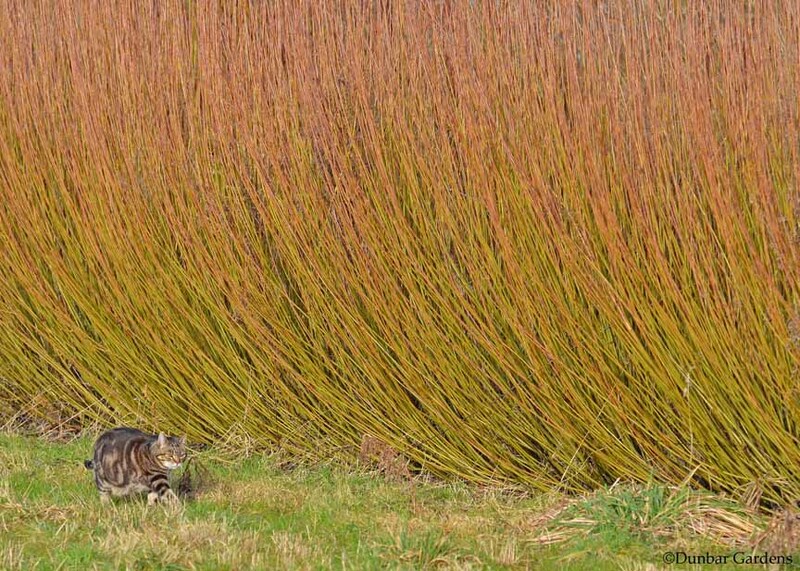 You can choose to grow all your willows as pollards which is an attractive landscape feature. Attractive hedges can be produced by coppicing alternate plants in alternate years just before the willow leafs out in the spring. The result is a hedge that will look good year round; highlighting the winter rods that are more colorful in the first and second years growth. Take a look at our webpage about basketry willow for some more information and photos of the willow at Dunbar Gardens: basketry willow. ©2007-2019 Steven Lospalluto and Katherine Lewis.